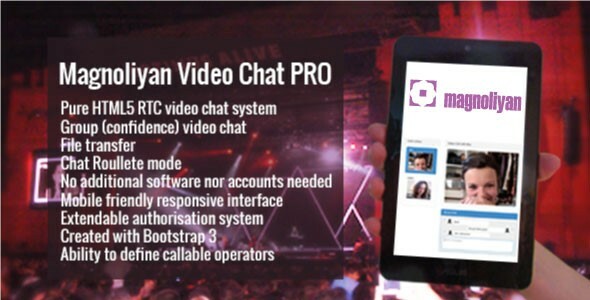 Magnoliyan Video Chat PRO v1.13.0 - CODELISTPRO | Free Premium Scripts, Plugins, Apps Source Code. Magnoliyan Video Chat PRO (mgVideoChat) is full featured video communication system with integrated text chat available directly within your web browser. You can consider it as online web based Skype, but without the requirement to install any additional software, plugin nor flash.